Eilis (Saoirse Ronan) leaves her home, a small village in rural Ireland, in the hope of a better life in Brooklyn. At first terribly homesick, Eilis soon begins to find her feet. Living in Mrs Keogh’s (Julie Walters) boarding house, she makes new friends, embarks on a new career and starts a romance with a local man called Tony (Emory Cohen). However, when a tragedy occurs at home, Eilis must return to Ireland. Once there, she soon realises that she must choose between the two countries and between her two lives. Brooklyn is a beautiful and emotional film about love, family and life’s expectations. I absolutely loved this movie and would highly recommend that you watch it. Alongside its powerful story, Brooklyn features some superb performances. Saoirse Ronan is wonderful. She conveys so much in just a single look. Her startling blue eyes are so incredibly expressive. Meanwhile, Julie Walters is typically brilliant and both Emory Cohen and Domhnall Gleeson give heartfelt performances. Another reason why Brooklyn works so beautifully is down to the script by Nick Hornby. Words are used sparingly and, as a result, pack a powerful and emotional punch. 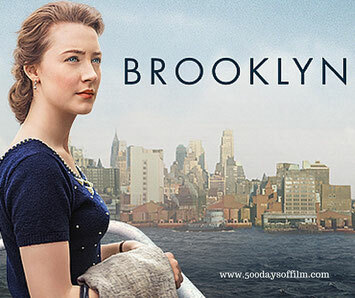 One look at Brooklyn's trailer and a glance at its synopsis and you could be forgiven for dismissing this film as a mediocre romance. Please don't - do give it a chance. Yes, this film tells a small story - but it is perfectly formed. No it doesn’t focus on environmental issues, child abuse or the global financial crisis - but this movie still feels so important and worthy. Brooklyn was, after all, nominated as best film in many award ceremonies - including the 2016 Oscars. It also won the 2016 Bafta for Best British Film. There may be louder, flashier films out there vying for your attention, but I loved Brooklyn and can see myself watching it again and again in the future. Indeed, I can’t wait to see it again so that I can pay closer attention to the stunning style of this film. Every scene just looks fairytale gorgeous with a range of colours picked out in Eilis’ clothes and surroundings. I have watched many films recently that have left a mark on me - some movies have been upsetting, some disturbing… Brooklyn has also left its mark - but one that I am struggling to describe. I just felt good after watching this film - and praise doesn’t come much higher than that. Saoirse Ronan was born in The Bronx, New York and then raised in Ireland to Irish parents. 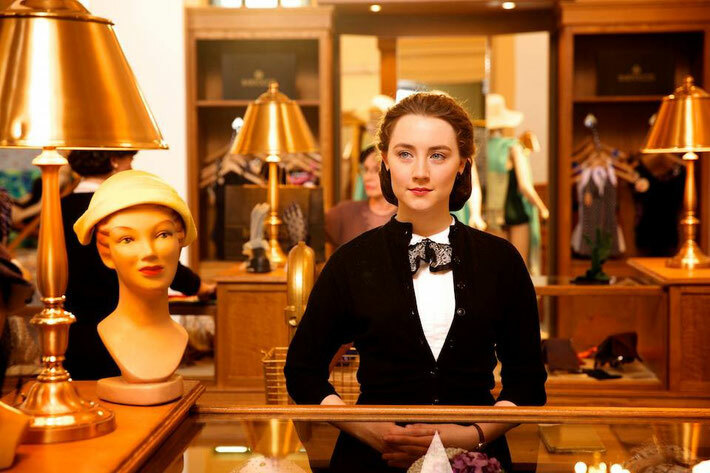 In interviews, she has explained that Brooklyn feels extremely personal to her - not least because this is the first film where she uses her Irish accent. Have you seen Brooklyn? Did you love it as much as I did? Whatever the case, do let me know… just leave me your thoughts in the comments box below!